An alternative option for learning the concepts, strategies and techniques behind jiu jitsu is to get yourself a jiu jitsu instruction manual. These books should not replace time dedicated to training and sparring at your academy, but its content could greatly supplement your training and progression. Furthermore, These books are also fantastic reading materials for reviewing techniques in your spare time or if you want to keep your mind fresh as you recover from an injury. You are not expected to incorporate all the techniques from a jiu jitsu book into your game. However, it is important to understand the concepts and strategies offered. Simply reading the book will not be good enough if you do not take the time to drill the techniques as well. Pick a technique to drill with a teammate or find movements you can practice by yourself. After reviewing the techniques and drilling them, select ones that works well for you and can branch off of your current grappling skills and knowledge. This review article will describe the three best jiu jitsu books for beginners. 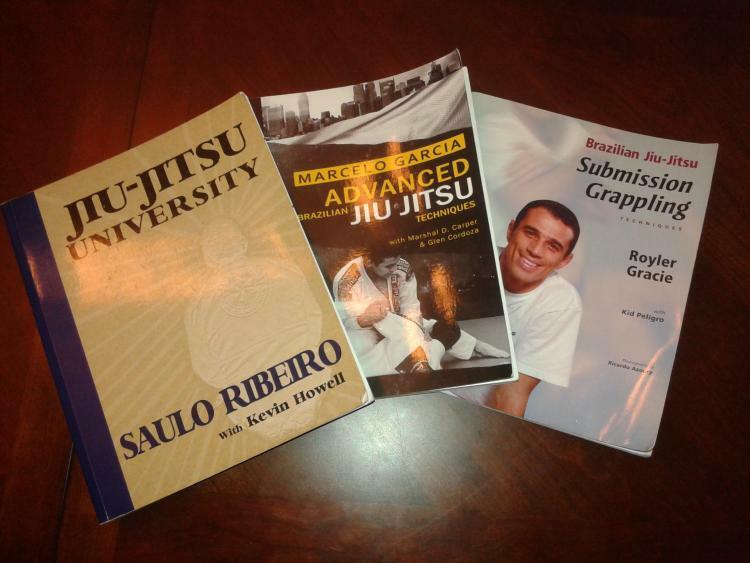 Jiu-Jitsu University is considered the holy grail or bible of jiu jitsu books by many jiu jitsu practitioners. Not only does it have one of the highest customer review ratings, its name is commonly brought up in discussion forums catered to jiu jitsu practitioners. This book consists of techniques instructed by the jiu jitsu legend and multiple time world champion named Saulo Ribeiro. 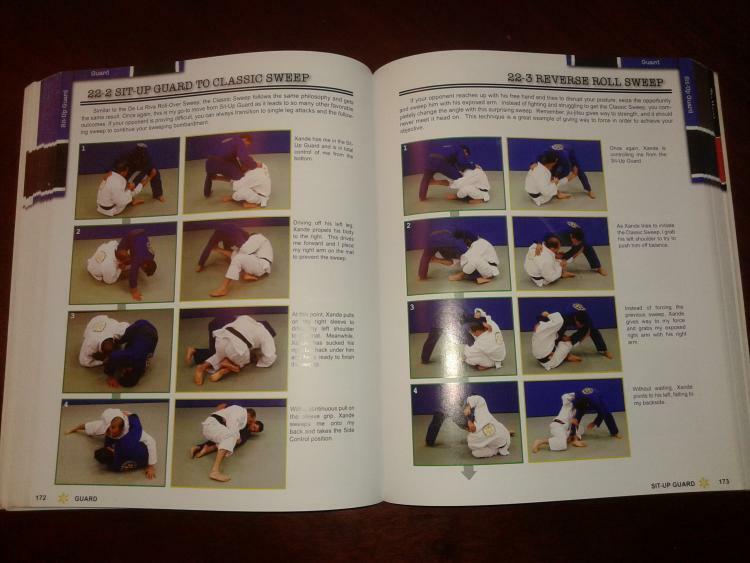 It stands out from other jiu jitsu books due to how it is structured. As you can see in the second image above, Saulo has the book designed so that a particular skill set is emphasized at each belt ranking level. White - This section of the book focuses on fundamental movements and techniques for white belts to survive different inferior positions as well as how to not expose themselves to submissions. Blue - For the blue belt section, Saulo provides techniques on how to escape from various positions and submissions. Purple - The topics for the purple belts is comprised of sweeps, submissions and transitions from the guard position. It also has instructions for guard pass preventions and display diverse types of guards like the butterfly and De La Riva guard. Brown - Saulo covers closed guard breaking techniques from the kneeling and standing positions. It also details guard passing techniques from a large variety of passing scenarios. Black - Dedicated solely to submission techniques. 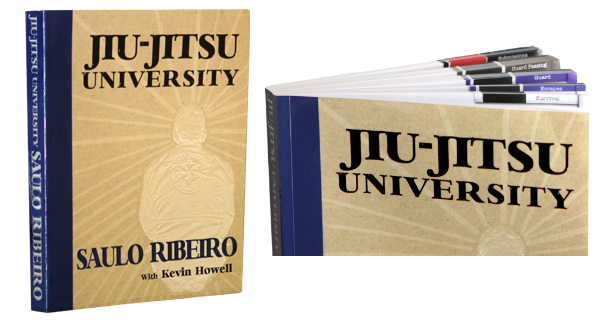 In addition to the wonderful technical instructions provided, Saulo’s Jiu-Jitsu University also provides solo drills throughout the book that is great for practicing by yourself. This book includes a wide spectrum of jiu jitsu techniques that is well organized and flows together well. The use of two different camera angles for many techniques makes it easy to follow along. Even though all of the techniques were shown with both practitioners wearing a gi, there are plenty of moves that can be adapted to no-gi training as well. A feature that makes Jiu-Jitsu University stand out from other jiu jitsu books is Saulo’s Do’s and Don’ts explanations that let the readers know what movements are appropriate to do in particular scenarios while also displaying common mistakes to avoid. Marcelo Garcia is frequently regarded as one of the greatest jiu jitsu competitor of all time. His style of aggressively hunting for submissions in competitions and being fearless in battling much larger foes in the absolute division, where there is no weight limit, makes him a fan favorite as well as being known as a giant killer. 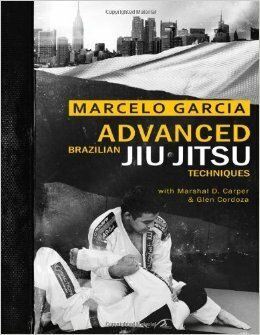 Instead of providing a comprehensive book covering a large assortment of jiu jitsu techniques catered to all styles, Marcelo designed this book as an instruction manual that details high percentage techniques he successfully pulled off in training and competitions. Therefore, these techniques consist of movements that work on larger and smaller opponents. Furthermore, a majority of techniques demonstrated in the book translate well to gi and no-gi jiu jitsu. Even though the title in the book uses the word “advance,” the contents inside are very well detailed and uses fundamentally strong techniques that even beginners should benefit from it. In addition to his detailed instructions, Marcelo describes the scenario and philosophy behind each technique shown. 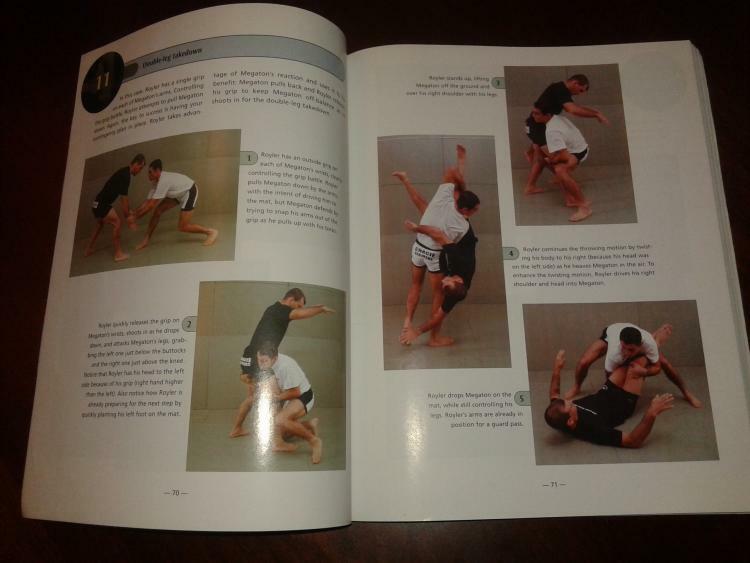 An important feature provided in Marcelo’s book, but not in Jiu Jitsu University, is the inclusion of takedown techniques. Not only does Marcelo describe the steps behind successfully implementing a takedown attempt, he also has instructions on how to counter your opponent’s takedowns with submissions. One of the reasons why this book is highly recommended to jiu jitsu practitioners is because it is carefully designed so that the reader can chain his techniques together as a cohesive set of movements. Royler Gracie is a multiple time world champion in jiu jitsu and submission grappling events. He is also a member of the renowned Gracie family. T﻿﻿his b﻿ook’﻿﻿s dedication to jiu jitsu techniques for individuals training strictly in no-gi makes it stand out from the other options listed. Additionally, it has valuable content for beginners and introduces the readers to various grip controls as well as some basic solo and teammate drills. The book follows those two sections with grappling techniques from the standing position. These techniques consist of takedowns, throws and attacks that are different than the ones mentioned in Marcelo’s book. 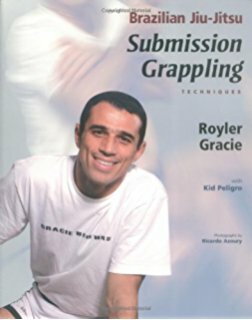 Overall, the major focus of Royler’s book is on ground techniques. It covers fundamental techniques as well as more complex ones, such as leg attacks. Techniques that attacks the opponent’s legs are typically reserved for intermediate level students. 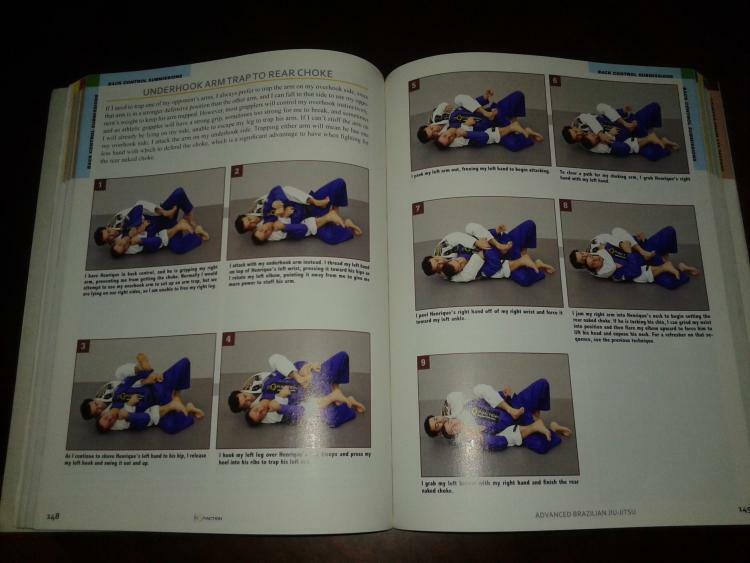 Therefore, this book will open the reader's eyes to the possibilities that comes with having leg lock submission skills. For example, there are several techniques demonstrated by Royler that shows how an individual may go directly for a leg lock submission right off the bat instead of even trying to spend time passing his opponent’s guard.